A major breakthrough for the environment: less CO2, higher content of renewable raw material in aseptic packaging. combibloc EcoPlus the latest innovation from SIG Combibloc. combibloc EcoPlus is an aseptic carton pack for liquid food that cuts down CO2 by 28 per cent compared to a 1-litre carton pack of the same format, thanks to a special new cardboard composite. This reduction in CO2 has now been confirmed by an independent, critically reviewed lifecycle assessment conducted by the Institut für Energie- und Umwelt-forschung (IFEU/Institute for Energy and Environmental Research) in Heidelberg, Germany. combibloc EcoPlus contains more than 80 per cent wood fibre, which is obtained from wood, a renewable resource. Milch-Union Hocheifel eG (MUH) is to be the first company in the world to launch combibloc EcoPlus. 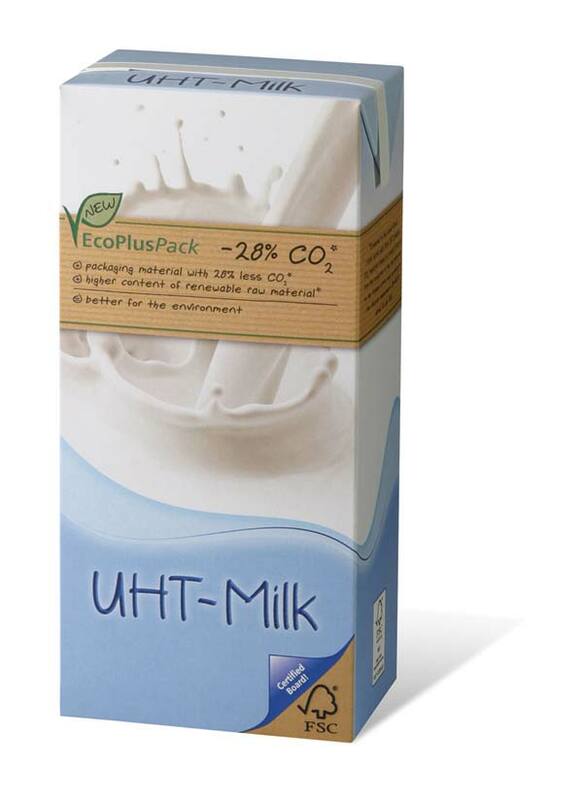 MUH, one of the biggest manufacturers of long-life dairy products in Europe, will initially be offering UHT milk in a range of fat content grades in combibloc EcoPlus, providing a plus for the environment. Markus Boehm, Chief Market Officer of SIG Combibloc commented: “Our objective is to continuously improve our carton packs with respect to their environmental benefits, to make sure they continue to be among the most environmentally friendly packaging solutions for long-life packaged foods. In combibloc EcoPlus, we have developed a carton pack with a new cardboard composite that substantially reduces CO2, while at the same time, of course, guaranteeing product quality and product protection and also ensuring the food will keep for a prolonged period without refrigeration. The scientifically proven reduction in CO2 is a substantial plus for the environment”. To conduct the current lifecycle assessment in accordance with internationally binding ISO standards, SIG Combibloc commissioned the Institute for Energy and Environmental Research (IFEU) in Heidelberg to analyse and evaluate the environmental impacts of combibloc EcoPlus, when compared against a conventional SIG Combibloc carton pack of the same format. The IFEU is one of the most renowned environmental research institutes. 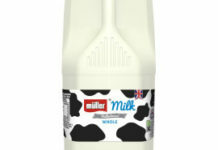 The current lifecycle assessment, which looks at the EU-15 countries plus Switzerland and is therefore valid for these countries, thoroughly examined the combiblocSlimline 1,000 ml format. The lifecycle assessment critically analysed and evaluated all key factors and processes of environmental relevance that come into play throughout the lifecycle of the packaging. The outcome of the assessment was clear. 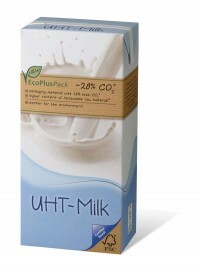 The comparison of the two types of carton packs with respect to CO2 balance – beginning with the acquisition and processing of the raw materials to produce the packaging material and including the manufacture of the carton packs, right up to the final manufactured carton sleeves leaving the SIG Combibloc production plants – shows that with combibloc EcoPlus, CO2 can be reduced by 28 per cent. With combibloc EcoPlus, the key factor in reducing CO2 generation to this level is a new type of composite structure. A special unprocessed form of cardboard gives the combibloc EcoPlus carton pack its rigidity. In the new composite structure, the content of cardboard that is obtained from the renewable resource wood is 82 per cent. The specific characteristics of the cardboard ensure the foods filled into the carton packs are protected from light. A special new, ultra-thin polyamide layer acts as a barrier to protect against flavour impairment and external odours. Added to this are fine internal and external layers of polyethylene. The internal polyethylene layer forms a liquid barrier for the product and the external layer keeps moisture out. To begin with, combibloc EcoPlus will be used in the long-life milk and dairy products segments, and in the future the concept will be expanded to include aseptic carton packs for non-carbonated juice products. As a first step, EcoPlus is to be available for combiblocSlimline (1,000 ml). Further formats are planned. combibloc EcoPlus carton packs can be processed using the standard filling machines from SIG Combibloc. All that is required is a one-off adjustment to the filling machine parameters. The filling machines from SIG Combibloc can fill standard carton sleeves as well as combibloc EcoPlus sleeves. For further information on SIG Combibloc call 0191 3878028 or email info.cbuk@sig.biz.